We were downright tickled to sit down with Johnny Earle, founder of the world’s first t-shirt bakery, Johnny Cupcakes. Fostering an almost cult-like following behind the Cupcakes clothing line and brand, Johnny drops knowledge on designing a customer experience, engaging with local communities and the wonders of word-of-mouth marketing. And video, too (obviously). Keep reading to see our full interview with Johnny Cupcakes. LAI VIDEO: We got your package last Friday. People love the shirts. There was just this Christmas spirit in the air. LAI VIDEO: Everyone was walking around seeing what different designs were out there. You have such a distinct brand and, equally so, you have such a distinct way of marketing it. Do you have a mantra or a philosophy when it comes to marketing Johnny Cupcakes? JOHNNY CUPCAKES: You know, you actually nailed it when you said there was a sense of Christmas spirit in the air. I’ve always been determined to make sure that my customers feel like it’s their birthday when they receive a t-shirt in the mail, and I try to do that through our products, through the packaging, through the little surprises and through the storytelling. This brand started as a hobby. I didn’t have a set business plan of, you know, we’ve got to do this and that. I just really want to make strangers smile in the least creepy way possible. And storytelling through videos, too. It’s pretty easy to just tell people what you do, why you do it, where you came from, and, you know, document your day, document special events. You have to show people and create some new fans and some new excitement and engagement. LAI VIDEO: How did you get into video as a core part of your marketing? Was it something that you saw and tried to emulate or did it just kind of come naturally? JOHNNY CUPCAKES: Yeah, it was wanting to document everything. When I opened up my flagship store in Boston, it was still kind of difficult to find a video person 12 years ago. We started having these special events. We’d release Halloween themed t-shirts around Halloween. We made Halloween trailers for movies that don’t exist just to post on YouTube to stir up some excitement. We had some t-shirts called Count Spatula or Rise of the Two-Headed Zombie Chefs. And then we packaged those movie-themed t-shirts in VHS tapes that we would brand. With us putting that much fun and production into the brand, I need to document that. 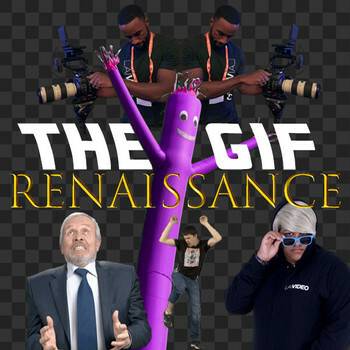 Video. I can’t stress enough how important it is. LAI VIDEO: How much of this is done yourself on a phone with some in-house stuff versus the more produced pieces? JOHNNY CUPCAKES: It’s a great question. I’d say it’s a pretty healthy mix of production versus non-production versus, you know, staying scrappy. I think there is something good about that, too, because it adds a little bit of, “Hey, this guy’s human, too. He’s just making some pancakes in his kitchen and he just picked up his phone and he’s chatting with us.” So, for me, it’s been an incredible way to create customer loyalty. The more produced videos are for the pop-up launches and they really pack a punch and show the value of our brand. But I’ll try to make those under one minute so that I don’t have to edit them. I can just post them on Instagram and Twitter right away. LAI VIDEO: What do you tell someone who’s not really doing anything with video at the moment? JOHNNY CUPCAKES: I would make a video introduction of yourself, your history, what makes you unique and special. If I had to choose between 100 distributors that were selling the same refrigerators, the one that shared their story with some video content on their company would make me feel more relaxed and safe and excited to support them because they feel like a human. Like, my money’s going to go help somebody rather than feed a machine in some big corporate company. LAI VIDEO: Years ago there was more of a stigma about following a business on social media, but now, people sort of yearn to follow brands that have meaning to them. JOHNNY CUPCAKES: Businesses should embrace that. I see so many people using sales software, and some people abuse it. I get a few dozen emails every day that are not personal at all, and I think a lot of companies can remix the way that they reach out to new clients. Utilize video to be transparent and be personal. LAI VIDEO: “With great power comes great responsibility.” At any moment, you can just blast out this huge message to everybody you know and it's lacking that personal element. People will sniff that out. JOHNNY CUPCAKES: You know, I did something. I think you’d get a kick out of this. We had another one of our Halloween-themed pop-up shops. But what bums me out is I’ve spent so many years getting new customers on our email list, only to have security settings increasingly block us. But I do have my customer’s physical addresses, so, I went old-school. I sent out direct mailers. But it wasn’t just a normal direct mailer. It was designed to look like a giant movie theater ticket. It said admit five on it, so that they could fill up a car full of friends and drive out to the event. And not only that, we added a prefix to everyone’s name that had to do with the Halloween theme. So, instead of saying “James,” it would say “James: The Vampire Slayer.” Or it would say you know, “The Ghostbusting Earle Family.” Just a little tiny thing that made people so excited that they were taking photos of it and posting it on Instagram and hashtagging Johnny Cupcakes. There’s so many fun ways to reach out to your existing customers or new customers through fun, bizarre marketing experiments. Can't get enough of Johnny? Check out this video we produced for the National Retail Federation as part of the Retail Across America video campaign! 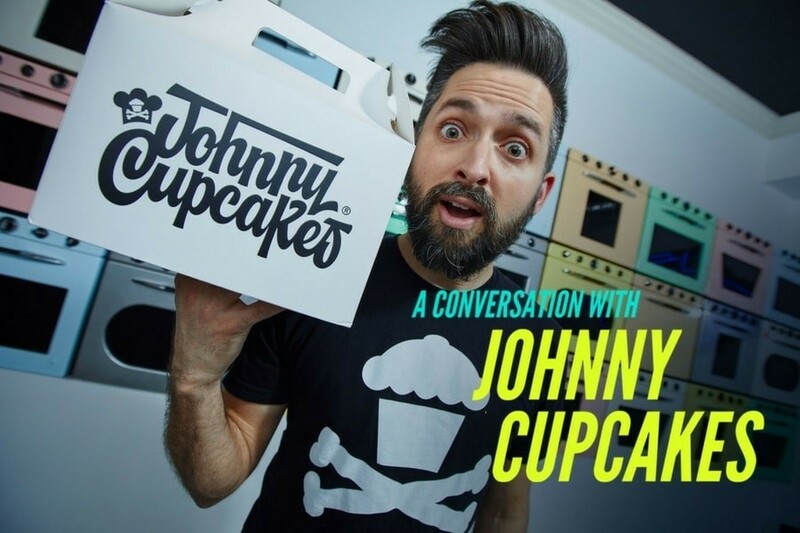 Still can't get enough of Johnny Cupcakes? Check out Johnny Cupcake's speaker profile on the Leading Authorities, Inc. speakers bureau website to learn more about his expertise and his speaking topics. Are you ready to take your video marketing strategy to the next level? Contact our team now. You can reach us by calling 202-416-4660, emailing video@laivideo.com, or live chatting with a member of our team right now. And don't forget to get a copy of this year's Annual Manual to see more thought-provoking articles and original pieces like this to help you generate new ideas and inspiration to take your video marketing to the next level.